What a difference a month makes, in the August edition, Daryl Janmaat was being commended on his good performances and in helping his side, Newcastle United, to a decent start to the season. Although Janmaat himself has not worsened drastically his team have. Since the 3-3 draw against Crystal Palace they have only won once, 3-2 in extra-time in the League Cup against the same opposition. His manager Alan Pardew is under extreme pressure and it seems that he will soon be on his way. Robin Van Persie and Manchester United have improved on their poor opening month of the season. In the league they have won four out of five, they lost to Leicester City 5-3 in an amazing game, and Van Persie has managed to grab himself two goals as well this month. Both Ron Vlaar and Erik Pieters were mentioned last week for their brilliant performances but both their teams have dipped in September. Even though Aston Villa beat Liverpool away, Vlaar & Co have lost their last three games whilst Pieters’ Stoke sit in 16th having lost two, won once and drawn one game in September. Arjen Robben and Bayern Munich continued their dominance of the Bundesliga this month winning all 3 of their games as well as winning two group games in the Champions League, at home to Manchester City and away to CSKA Moscow. Although he didn’t manage to score he did provide an assist for Thomas Müller against newly promoted SC Paderborn in a 4-0 rout. Huntelaar continues to try and drag Schalke by the scruff of their neck as he performed well this month but his team didn’t and Roberto Di Matteo replaced Jens Keller as manager. He grabbed a goal in both Champion’s League games, against Chelsea and Maribor respectively, and helped Schalke beat rivals Borussia Dortmund who are also struggling but this was not enough to save Keller after defeats to Borussia Mönchengladbach and Hoffenheim as well as drawing at home with group minnows Maribor. Other mentions include Rafael Van der Vaart whose issues go on after he didn’t play a single game in September in a side that are really struggling and sacked their manager Mirko Slomka. 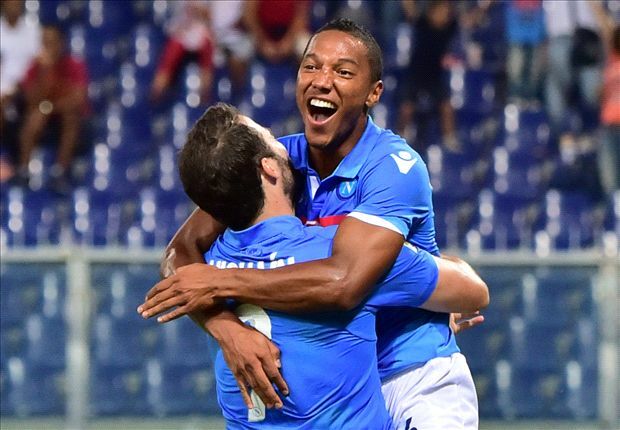 Jonathan de Guzman has had a mixed month with Napoli; they lost their first 2 games before drawing with Palermo and going on to win their last game of the month. He appears to have already gone to th top of the pecking order at Napoli with captain Gokhan Inler struggling for consistent playing time. In Rome Dutch utility man Urby Emanuelson has had a tough start to his Roma career, featuring only once in Serie A for Roma. On the other side of the capital both Stefan de Vrij and Edson Braafheid have become crucial parts of the Lazio who currently sit eighth in the table. In other Serie A news midfielder Kevin Strootman is not leaving Roma according to many at the club including coach Rudi Garcia and is expected to return in December from his long term spell on the treatment table. In Russia two players are becoming crucial members of their team, Alexander Buttner of Dinamo Moscow and Quincy Promes of Spartal Moscow. Buttner has been key to helping Dinamo to third in the table whilst Promes has played 7 times and scored twice for his new club following his summer move from Twente. Over in Ukraine Jeremain Lens is slowly working his way back into the team after being on the verge of leaving in the summer, he scored against Volyn last month. Further South in Turkey Wesley Sneijder and Dirk Kuyt have been featuring for Galatasaray and Fenerbache respectively whilst in Portugal Bruno Martins Indi and Porto have built on their solid start to the season, they beat BATE Borisov 6-0 in the Champions’ League.